That’s how long it took to adopt David because he’s a Native American and the Condons are not — which meant the 40-year-old Indian Child Welfare Act came into play during the adoption, adding layers of complexity to the process. The Condons did not set out to adopt Native American children, but three of their four adopted kids — David, now 11, Tommy, 7, and Isaac, 4 — are Native American. Condon tries to keep them connected to their roots, but said she adopted the boys to get them out of foster care and into a loving home. Irvin said while voting is up 200 percent for voters in the 18-34 age group, voters in the 65-74 year old age group still vote in much larger numbers than younger people. 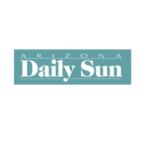 Hopi High School won nine awards at the Arizona Interscholastic Press Association Conference Nov. 6 at Arizona State University in Tempe. About 750 students from throughout the state attended the conference. 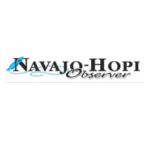 Hopi High was the only reservation school to win media awards and was one of the smallest schools represented. Talia White, spokeswoman for the Institute of American Indian Arts (IAIA) in Santa Fe, New Mexico, recently visited Hopi High to tell the students about their art school.